It's essential for every kid to play any games to keep them healthy and wise whatever it is outdoor or indoor sports. Sports play an important role to develop the kid's ability and awareness. As well sports can grow the team working ability from the ground. It does not only help you when you're kids but also grown up. That's why it is important to participate any sports (indoor or outdoor). 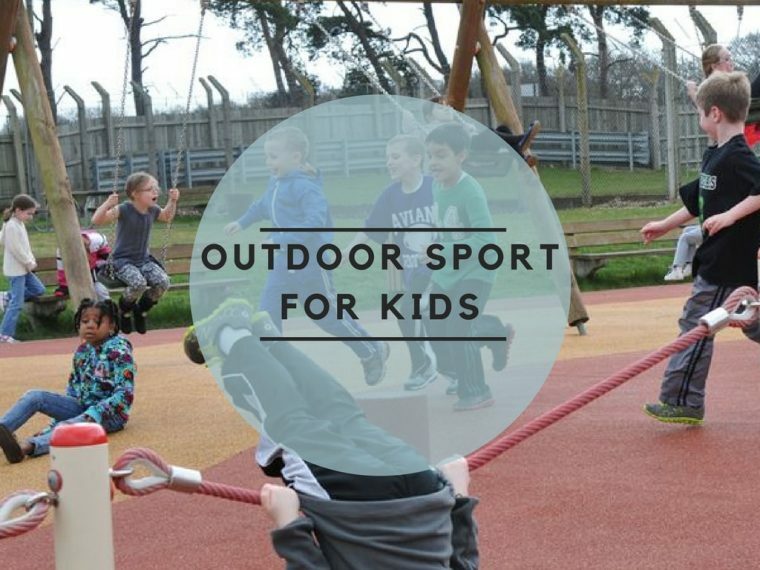 Today, in this article I will discuss Four best outdoor sports for kids. In this section, we have listed top 4 best outdoor sports for kids, Such as parachute, paintball, Hide and Seek, Kick the Can games. there are other sports like Kids Motorcycle and Bikes, Race and many others but we will discus the top four in more depth Read more. Parachute game is the most popular sport all over the world. Especially kids are very excited to play with the parachute and its super fun game for kids. However, parachute game is the great example of the team working. There are different types of parachute games exist, for example, Mushroom, Circus Tent, Ball Surfing, Basketball, etc. Parachute is colorful that's why it looks cool. The parachute price is pretty low which is less than $100. You can buy used one to save few bucks. It is very easy to handle, store and operate. Before flying the parachute make sure that the ground beneath the chute. As you know, this is outdoor sports; the dry grass is better than wet because of wet grass more slippery. Read the parachute rules carefully before fly. What do you need to play parachute games? A safety trainer that’s it. When it comes to playing paintball, then there is no limit of enjoyment. Paintball started for the recreational purpose only, but now it’s become more than recreational. Kids are very excited to play paintball with their friends and family. 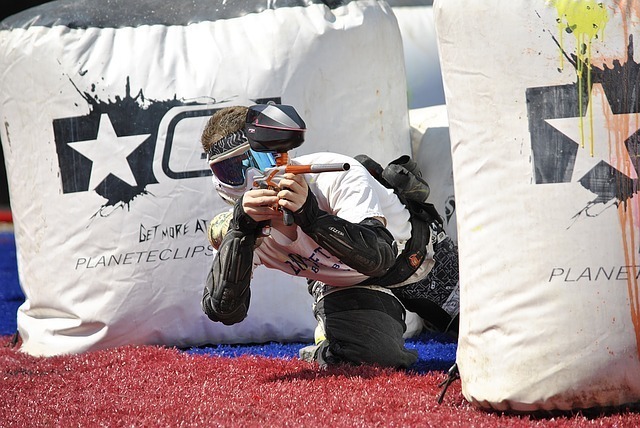 There are different types of paintball games out there, such as Woodsball/Recreational Paintball, Speedball, Stock Class Paintball, Scenario Paintball, Tournament Paintball, etc. Usually, kids play paintball for Recreational purposes, but sometimes they play tournament paintball also. This is also a team sport. Grow their team working ability. It helps them to be more social. Finally, it's a fun machine! Paintball equipment is expensive, but you don't need to be worry because it’s not wise to buy expensive stuff for kids. The average price of paintball set is less than $200 which is beginners type paintball gun set such as Tippmann A5, Tippman Custom 98, etc. Very few people didn't play hide and seek game in their childhood, and everyone has a remarkable experience of it who played. This is suitable for outdoor or indoor. Sometimes, parents also play this game with their kids. Hide and seek is not only a physical game but also social awareness. What is hiding and seek game? It's simple, one person or player hides from others persons and others try to find him that's it. There are different types of hiding and finding (hide and seek) games out there. Sometimes counting between 10 to 100, sometimes they use the tag "safe" until find out. ​A safe spot without any dangerous animal like snakes. What do you need to play Hide and seek? Kick the Can is one of the famous traditional outdoor game in the world. Notably, in the United States, it has been playing more than hundred years. This is another alternative game of hiding and seeks. Usually, School kids play this game. The fascinating thing is that no equipment needed to play this game. The only stuff required which is an empty can. The plastic can will be great instead of metal can. You can also use an empty jug or milk carton. Where to play Kick the can? Typically, kids play this game on their school ground or home-yard. But there must be a hiding place to keep hidden. How to play Kick the can? It's very easy to play. One player or a team considered or called "it," and a can or jug keeps in the middle of the field. Then other players run away and stay themselves hidden until finish the particular numbers counting. After that "it" try to find out everyone. If "it" see someone then use "it" tag and give them a pen as a sign of captured one. If an uncaught player can kick the can or jug, then others caught players are released automatically. After finding out the everyone by "it" and holding a pen then game finish. That's it. Anthony Maldonado has over Twenty Five (25) years of experience in the field of Education, sports and outdoor. He specializes in setting up sports or outdoor state. He is an expert in the area of developing strategies for education and sports. He is presently working at his private tuition Singapore.